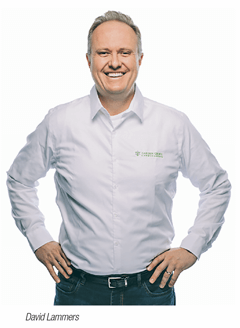 David Lammers launched Lammers Landscape in 1990 in Waterdown, Ont., adding snow operations seven years later and changing the company name to Garden Grove Landscape Management. 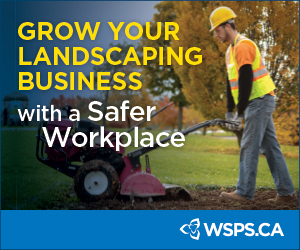 The company has won many Landscape Ontario Awards of Excellence, was named Canada’s first ISO and SN 9001 Certified Snow Management Company, as well as safety and business excellence awards from the Snow and Ice Management Association (SIMA). How do you manage client expectations during major storms? If we commit to have a property cleared at a specific time, we will make sure it happens. But we won’t put something in the agreement that we can’t perform to. It comes down to being upfront during the sales process, and clear in our communication; we are never going to lie. That’s part of our commitment to consistency, accessibility and expertise. But if it starts snowing at 5 a.m. and we’re committed to clearing a site by 6 a.m., that’s okay. They might not get cleared right away but they will get salted, for example. And it all comes down to communication; you can’t over-communicate during the winter season. With the technology we use, we can ensure clients are getting live reports, so they know exactly when we have serviced them. So if it starts snowing at 5 a.m., they will see they received salt service by 6 a.m. The manager or property manager will get an e-mail document that has a GPS stamp saying a vehicle was there, with the GPS coordinates, who the operator was, what was administered in terms of salt, any issues if there were any, and it’s signed off by the operator. Clients also receive pictures from the operators, so they can see what their site looks like and the quality of the work. Another side benefit of the reports has been that our phone traffic is way down, because clients feel that much more connected to the service. What is the biggest challenge of snow and ice management? The toughest thing is getting ready for the season. Being in season and actually doing the work and executing, that’s the fulfillment. The real challenge is being a landscape, green season company and shifting gears towards snow and ice management. The meetings start in the middle of July for snow planning and scheduling. And so we just get finished with the spring push, and then we start into the winter startup. And it’s a challenge to manage all the components that need to come together for the success of that November 1 start. We use that date as a hard deadline because we feel that by November 1, we need to be able to pull the trigger. Managing everything from the sales pipeline, to operations with equipment ordering and making sure that we’re meeting budget and staff certifications, there are a lot of processes that need to be in motion to make sure we are ready to go. What are some strategies for achieving staff buy-in? We believe firmly in hiring for character and teaching skills. We want people who are like-minded in terms of our values. We also have a company philosophy that we describe as work, learn, grow and inspire. We want our staff to work hard and to really enjoy what they are doing. With that comes learning, because you can’t work and not learn; otherwise, it’s just a job for a paycheque. So we believe that if you are learning while you are working, you are going to grow as a person. That’s exciting to us, to know that our people are growing their personal skills and their confidence as well. And that’s inspiring, and the result is that our staff have the ability to inspire each other. If you have a question to suggest or a mentor to recommend, please e-mail editor@landscapetrades.com.